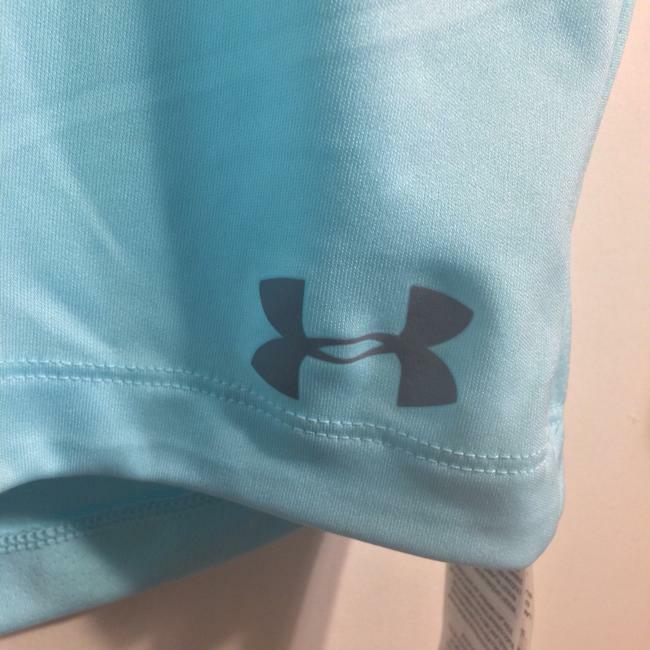 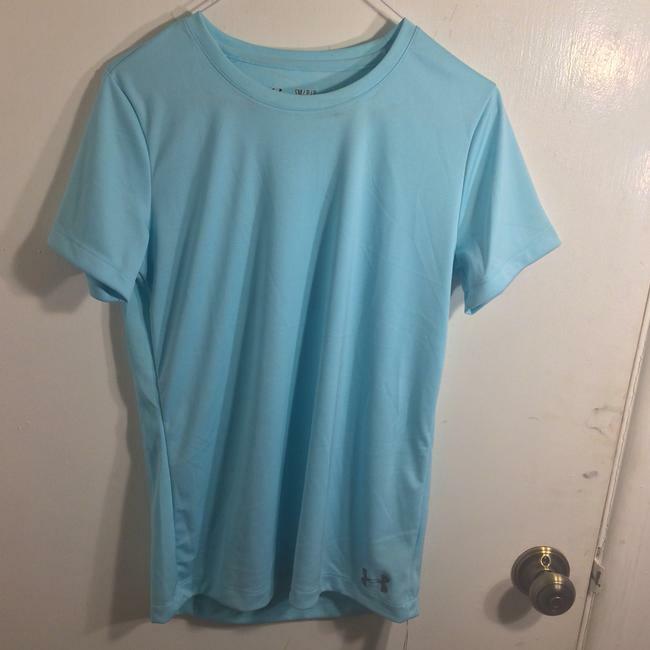 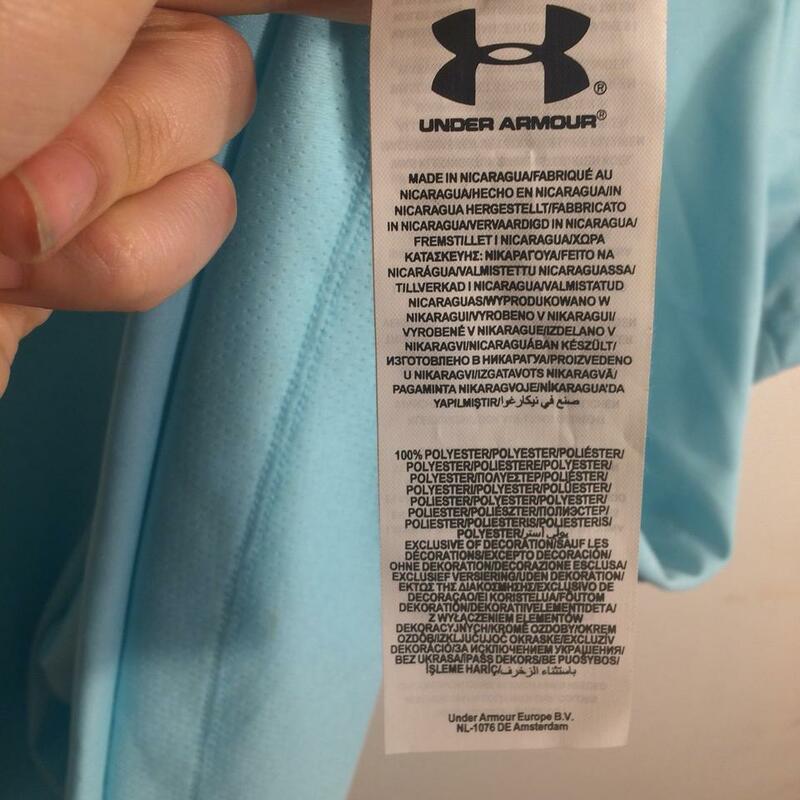 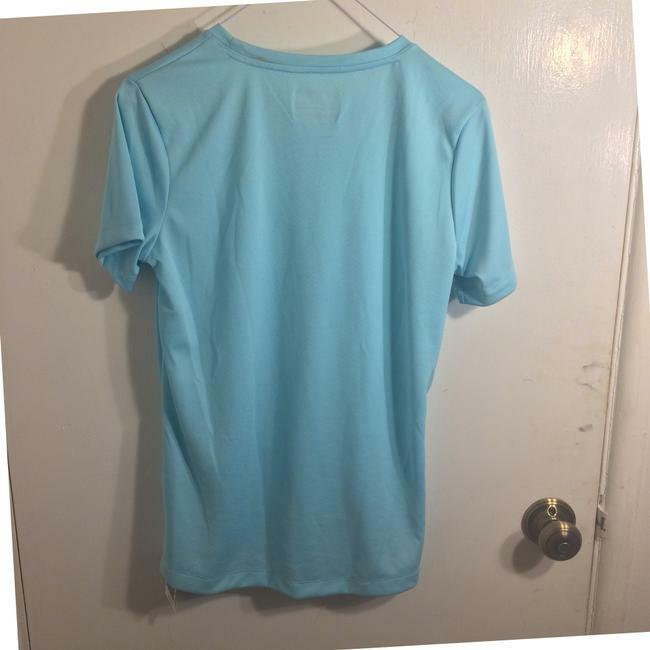 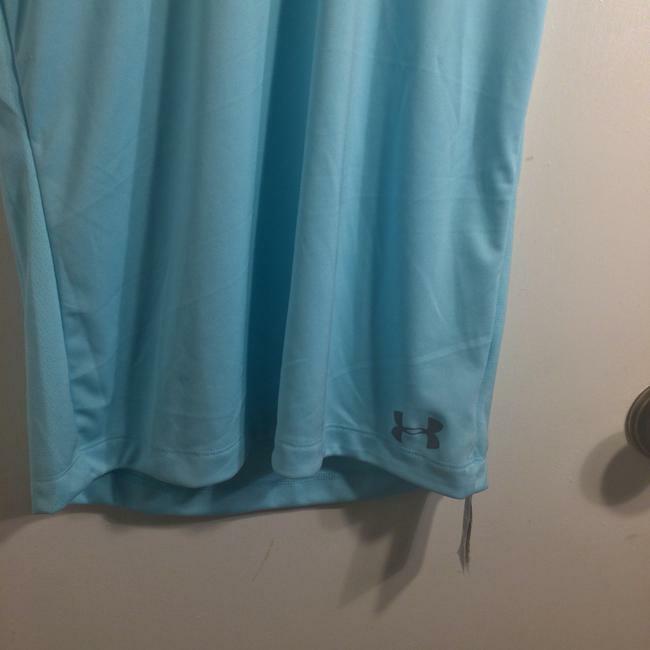 NWOT UNDER ARMOR size small turquoise blue crew neck short sleeve athletic apparel workout t-shirt made of 100% polyester. 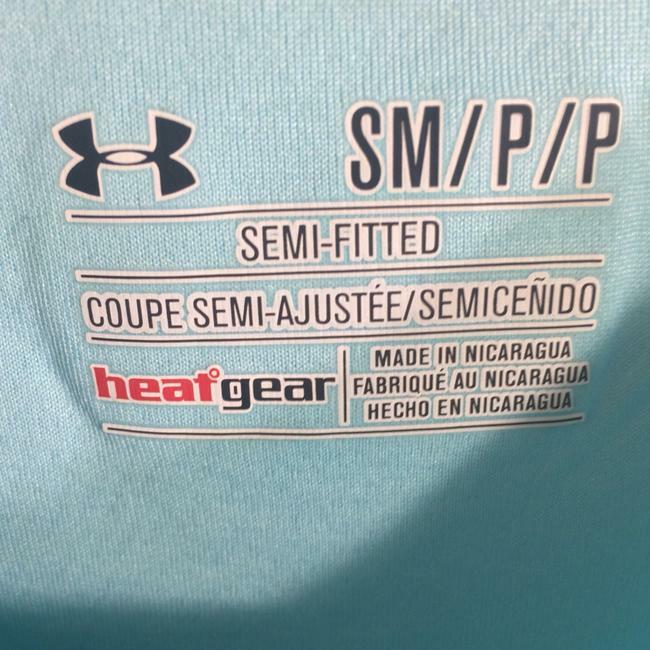 The tsgs says it is semi-fitted and has heat gear. It's in like new condition with no retail tags.